Cheap and cheerful. Big fat bubbles, sweet tasting. Famous for being the bubbly in a Bellini. All these things are commonly said about everyone’s favourite Italian sparkler, prosecco. But that’s not the only kind of prosecco being produced. 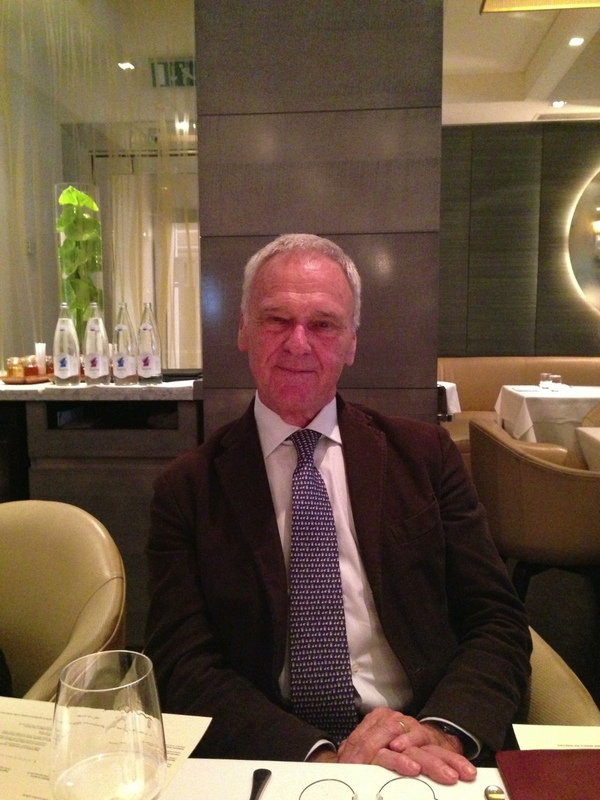 I had lunch earlier this week at Locanda Locatelli with the owner of Nino Franco Prosecco, Primo Franco. Prosecco is traditionally made from the glera grape, goes through a secondary fermentation using the charmant method (in tank rather then bottle) and comes from the Valdobbiadene and Conegliano regions of Northeastern Italy. Franco make their proseccos this way but do much more. 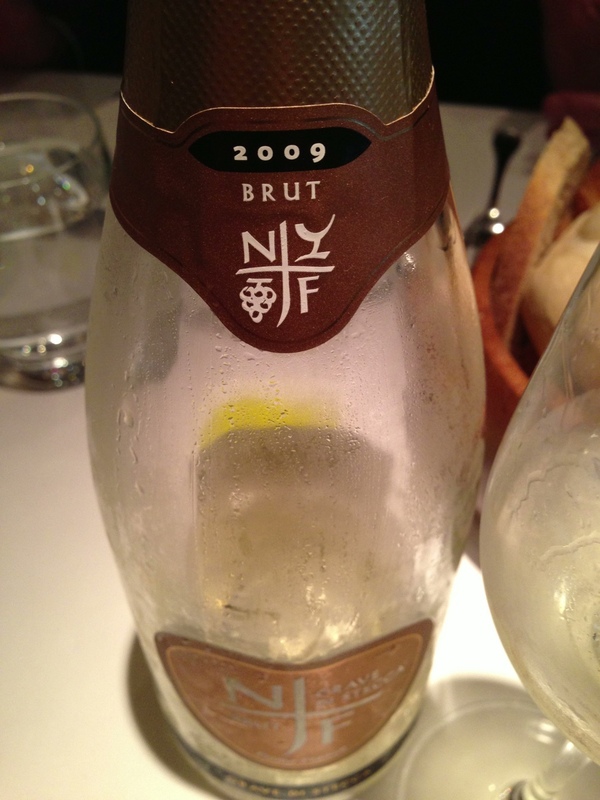 They are one of the few producers to make single vintage and single vineyard proseccos. 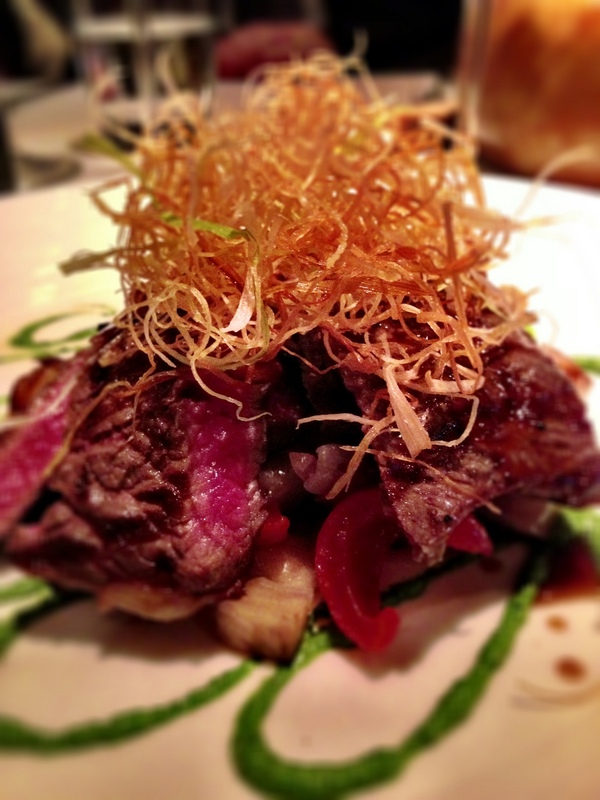 For them, it’s very important to show the “terroir” of the region. It’s so important to them that they left the appellation in 2009 so that they could make their prosecco without having adhere to the rules and regulations put down by the Italian government. They want to differentiate themselves from the regular ‘prosecco’ made by their neighbours. 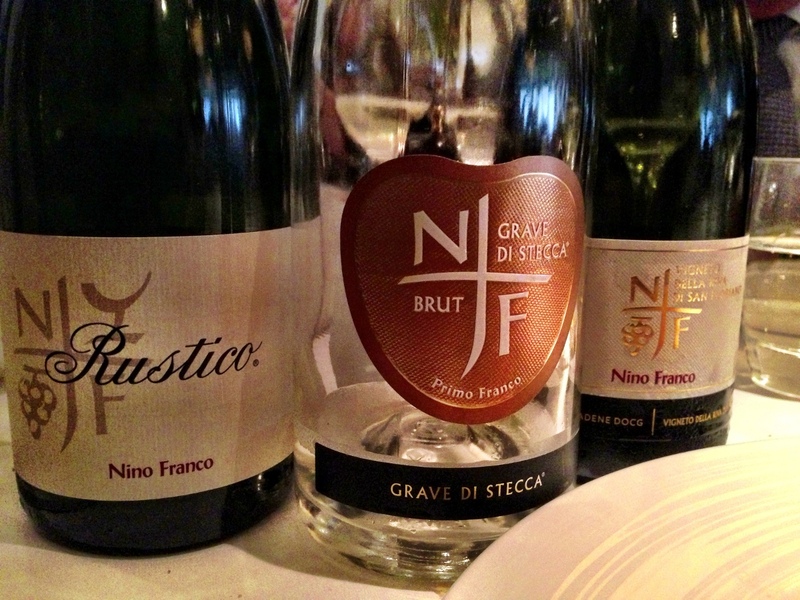 We tried Nino Franco’s Rustico prosecco, the 2009 Grave di Stecca, single vineyard and vintage, and the Vigneto della Riva di San Floriano, single vineyard. The Rustico was a delicious aperitif, dry but with balanced fruit on the nose and palate, soft and fresh, the bubbles not being too aggresive. As we were having lunch, the Grave di Stecca was a good choice being rather savoury on the palate, the fruity flavours taking a back seat to the lime finish. The Vigneto della Riva di San Floriano, single vineyard prosecco was more like a traditional prosecco having peachy, nectarine flavours and aromas but still with fine bubbles and a silky finish. 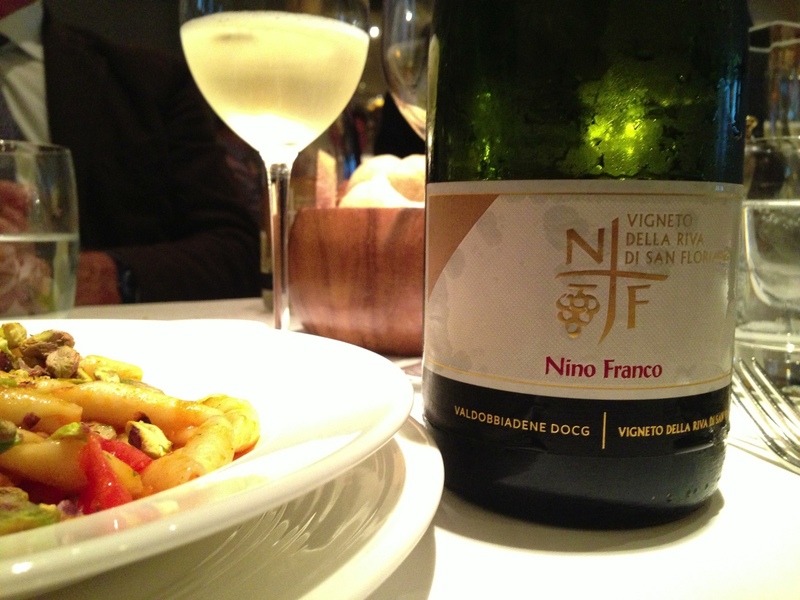 I always enjoy being introduced to quality wines and Nino Franco’s proseccos certainly do fall into this category.